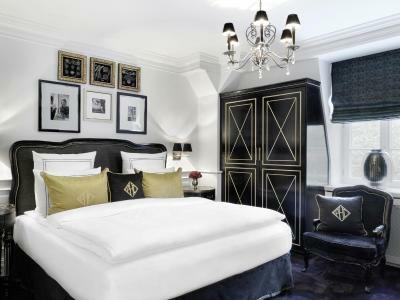 Lock in a great price for Patrick Hellmann Schlosshotel – rated 8.9 by recent guests! 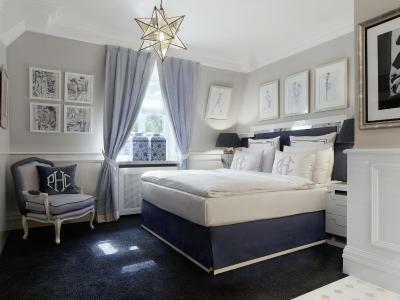 Beautifully comfortable bed and peaceful area for a good night's sleep. The staff were friendly and helpful at all times, far and beyond anywhere else we have stayed in Europe. Great property with lots of tradition. Staff super friendly and accommodating. The breakfast was AMAZING - one of the best I’ve had - beautiful fresh fruit, smoked trout, grilled vegetables, cakes and breads - delicious. And the dining room is all glitz with dramatic chandeliers and ornate portraits. The hotel is located in a lovely residential area with beautifully appointed accommodations. we like the area but for those coming from overseas, I am not sure the location is right. The food is decent and it is a lovely place with lots of character and charm. Beautiful little castle. The common parts are amazingly decorated and really nice to hang out, especially the bar. We visited this hotel 4 years before this visit. We came again because we loved its naturally old and magnificent interiors. Now we can see that the interiors have undergone restoration designed by Patrick Hellmann. Most visitors will like this new style and its enhanced functionality. We like it too, but we miss the old charm of this place. 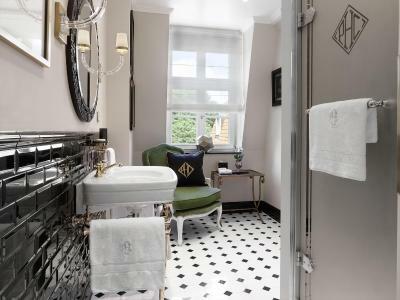 Patrick Hellmann Schlosshotel This rating is a reflection of how the property compares to the industry standard when it comes to price, facilities and services available. It's based on a self-evaluation by the property. Use this rating to help choose your stay! 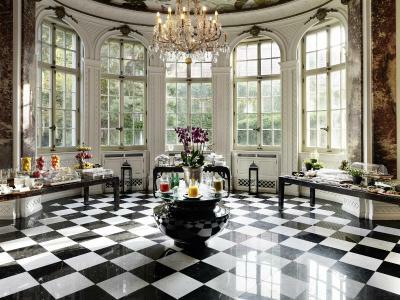 Patrick Hellmann Schlosshotel is a private luxury hotel in Berlin’s stylish green district of Grunewald. The historic villa, park-like garden, valuable furnishings and personal service offer unique accommodations. 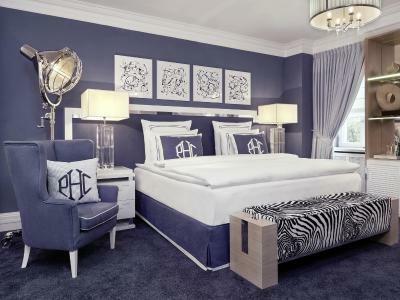 Fashion and glamor is provided by the Patrick Hellmann design combining the historic building with upscale lifestyle. 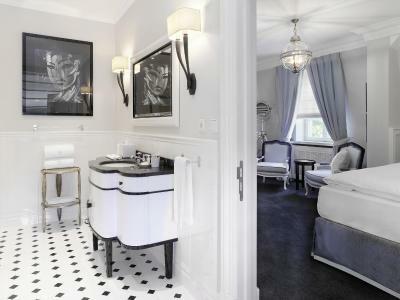 Rooms and bathrooms feature the finest fabrics and bespoke furniture with Lalique applications. The fitness rooms boast state-of-the-art equipment while guests can enjoy the large pool and healthy post-workout fare at the pool bar. The romantic garden pavilion and floral arrangements also provide a perfect wedding venue. 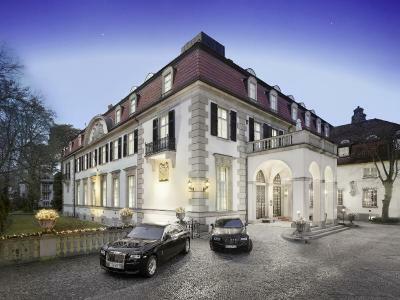 When would you like to stay at Patrick Hellmann Schlosshotel? Individually-decorated room with a flat-screen TV, air-conditioning and minibar. Features a private entrance, views of the grounds, and an elegant bathroom with heated marble floors. Spacious suite with a flat-screen TV, air-conditioning and minibar. Spacious suite offers elegant interiors, separate living /sleeping areas, antiques, original art, free spa use and a free mini-bar. 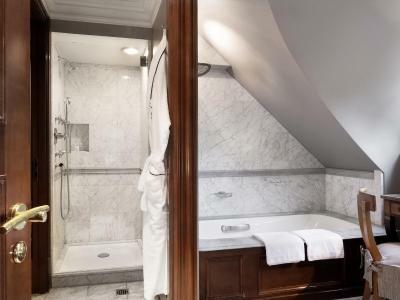 This top floor suite offers extra space, a fireplace, piano and a marble bathroom with heated floors and Bulgari products. Spacious suite provides elegant interiors, separate living/sleeping areas, antiques, original art, free spa use and a free minibar. 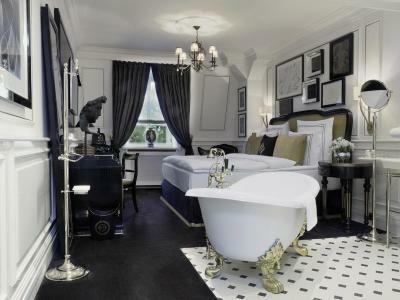 This suite features extra space, an Apple Mac computer, large flat-screen TV, and an Art Deco-style bathroom with heated floors, hand-painted French tiles and Bulgari products. These new premium double rooms feature a bathrobe, mini-bar and air conditioning. They were designed by the international fashion and interior designer Patrick Hellman and offer 2 themes (New York and Bohème). House Rules Patrick Hellmann Schlosshotel takes special requests – add in the next step! Patrick Hellmann Schlosshotel accepts these cards and reserves the right to temporarily hold an amount prior to arrival. 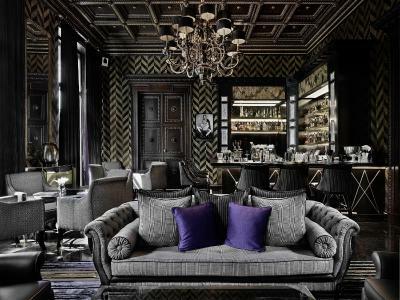 Please inform Patrick Hellmann Schlosshotel of your expected arrival time in advance. You can use the Special Requests box when booking, or contact the property directly using the contact details in your confirmation. The price of a pot of coffee! Amazing place !!!! Liked all of it. far from the city centre, restaurant is very quiet and limited choice menu. Staff are however excellent! The comfort from the room was much lower than expected... No coffee or tea, leaking bath pipes, no hair conditioner. It seems like one part of the hotel hasn't been renovated and you can clearly see the difference. A bit disappointing for the price. 4000 euro stollen from our room and our friends room during our stay at the hotel's pool, which is unacceptable for a 5 star hotel!!! Police was involved, the hotel management took no action, and above all the manager treated us very badly by the phone (we never met him in person) . Although we asked for the refund of the accomodation, the manager said that the refund is definetly denied, not to mention that he didn't even apologize for his staff behaviour. I never thought that a 5 star hotel manager could treat his guests like that! People were allowed to smoke in the cigar lounge ! The choice of TV programmes falls far below the standard and the price of the rooms. I got bitten by bugs on the bed. Room was very hot and uncontrollable. Had to leave windows open. Apparently the bathroom floor is heated and was blasting the rest of the bedroom with no obvious way of turning it down. Aircon whined so couldn't be sued to counter. Smoking is allowed in the bar and as a result impacts the freshness of the air elsewhere in the hotel. If you abhor smoking as I do then this seriously impacts the quality of the hotel. There was a strong smell of smoke throughout the lobby and restaurants. The pillows on the beds were typical continental pillows and you needed 4 to make any sensible support. Way too soft. If you aren't used to these then you don't get a good nights sleep. I found the bed too soft as well. Staff were great, building was magnificent and amenities very good. The (cold) smell of cigarette and cigar smoke in the main hall, first floor hallway and all the way into our room really ruined it for us. It‘s such a beautiful location, how can this be possible that indoor smoking in the lounge is allowed to the point that all the premises smell like smoke everywhere. Such a shame. Made us leave early.